In 2018 Jimmy was one of the Five Man team who won the BAFA National Plate in Manchester. That result effectively place them in 8th place in the UK rankings. 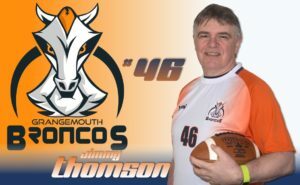 Jimmy Thomson began playing American Football in 1987 after seeing the Clydesdale Colts playing a demonstration match at a village Gala Day. He joined his nearest team, the Lothian Chieftains, as a running back. 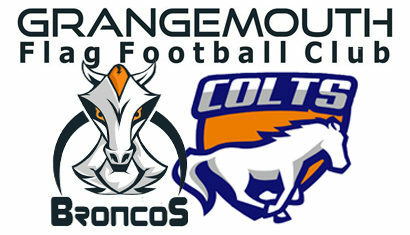 After two years, he moved to the Forth Valley Generals, the club that would eventu ally become the Grangemouth Broncos. 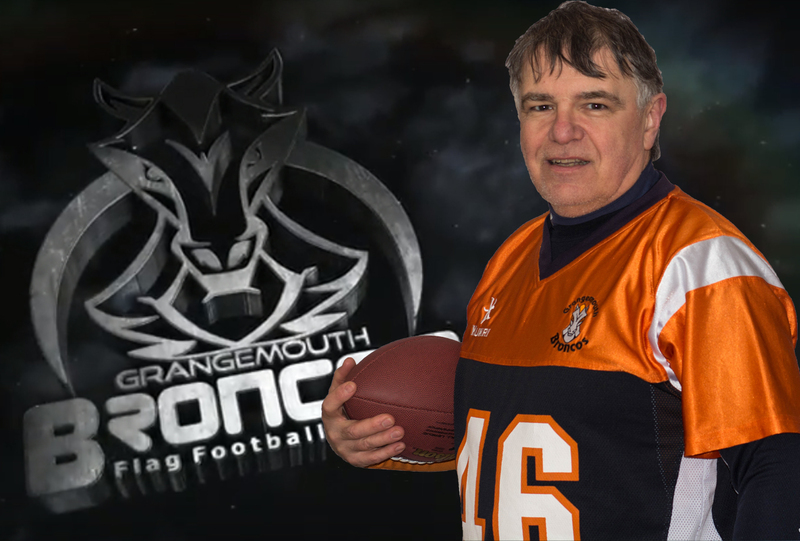 In 1994, Jimmy played his last tackle football game against the University of Stirling Clansmen, a team he now follows very closely. He is quite proud of the fact that he helped seal the win by running in a two point conversion in the dying seconds of a close game. In 2000, he was invited to help coach some kids playing a new version of American Football, 5-on-5 Flag Football. It didn’t take him long to realise he still had the skills to play this non-contact version of the game. To say this gave new life to his sporting career is an understatement. 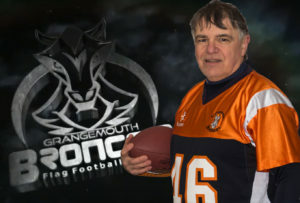 Since the Broncos Senior team first took to the field in 2001 Jimmy has played in all but a handful of the Broncos games. In 2005 Jimmy was voted the SFFA Senior Coach of the Year AND the Senior Player of the Year. In 2007 Jimmy travelled to Sestola in Italy as a reserve for the Great Britain team at the European Championships. He played in a friendly match against Germany there and later in the year played against Ireland in a tournament in Belfast. Jimmy has maintained his association with the GB Lions team and is currently an assistant coach. Jimmy has also featured a number of times in competitive matches for Scotland through the years. In his last few games for the national team, he was one of a number of undefeated players in the Home Nations competitions from 2009 to 2012. He is still a coach with the HNC Chieftains (effectively the Scotland team). Played in competitive game for GB against All-Ireland in International tournament in Belfast.